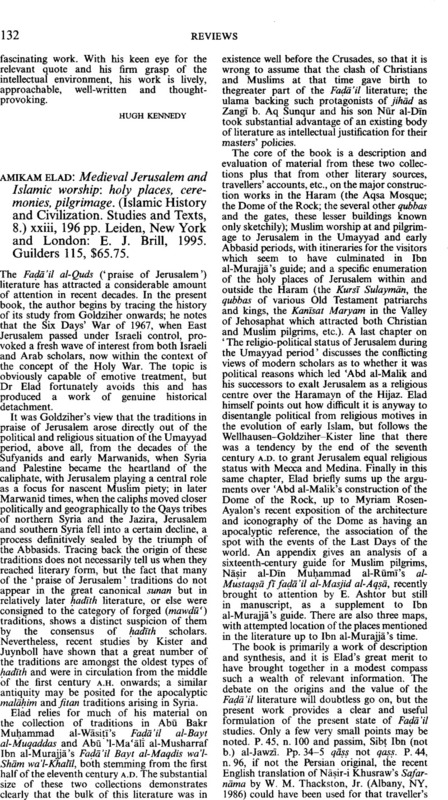 The Near and Middle East - Amikam Elad: Medieval Jerusalem and Islamic worship: holy places, ceremonies, pilgrimage. (Islamic History and Civilization. Studies and Texts, 8.) xxiii, 196 pp. Leiden, New York and London: E. J. Brill, 1995. Guilders 115, $65.75.